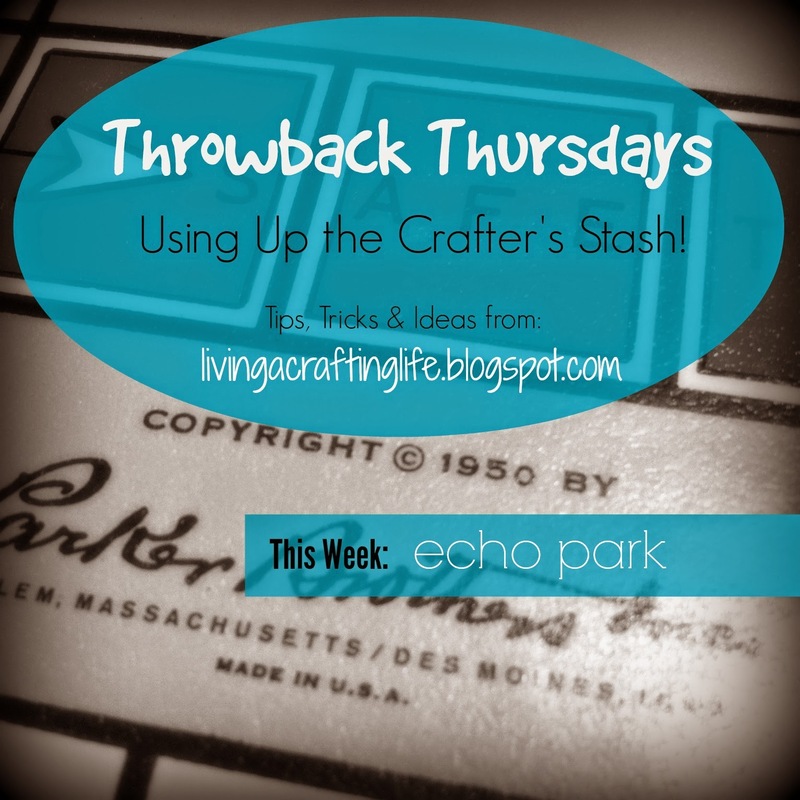 During this month of May, I am scrapping with the Reflections kit by Echo Park, courtesy of The Memory Nest. 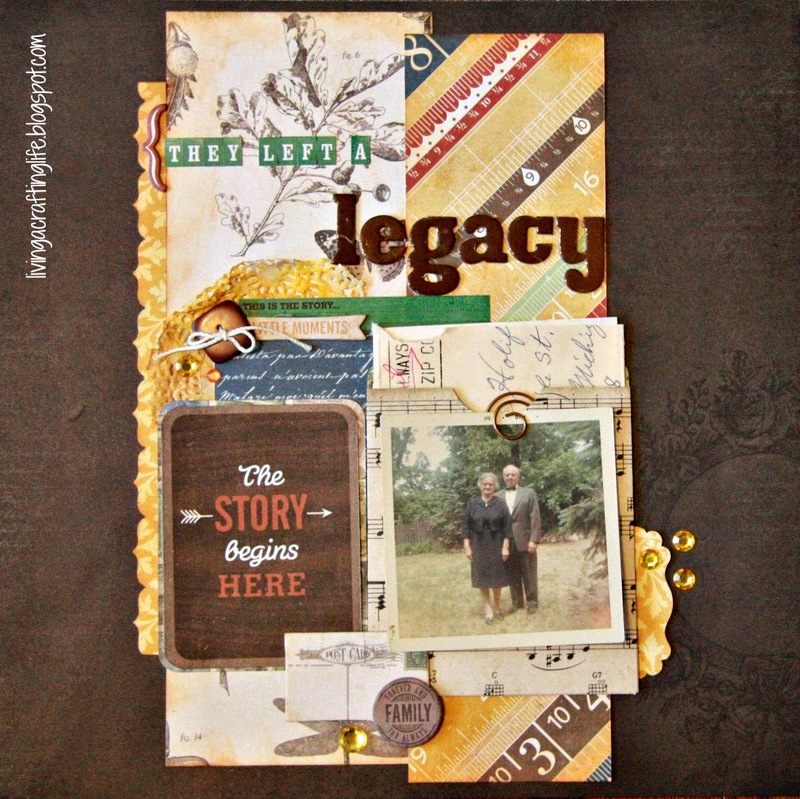 This kit has been a fabulous way to start scrapping some of my "heritage" photos! 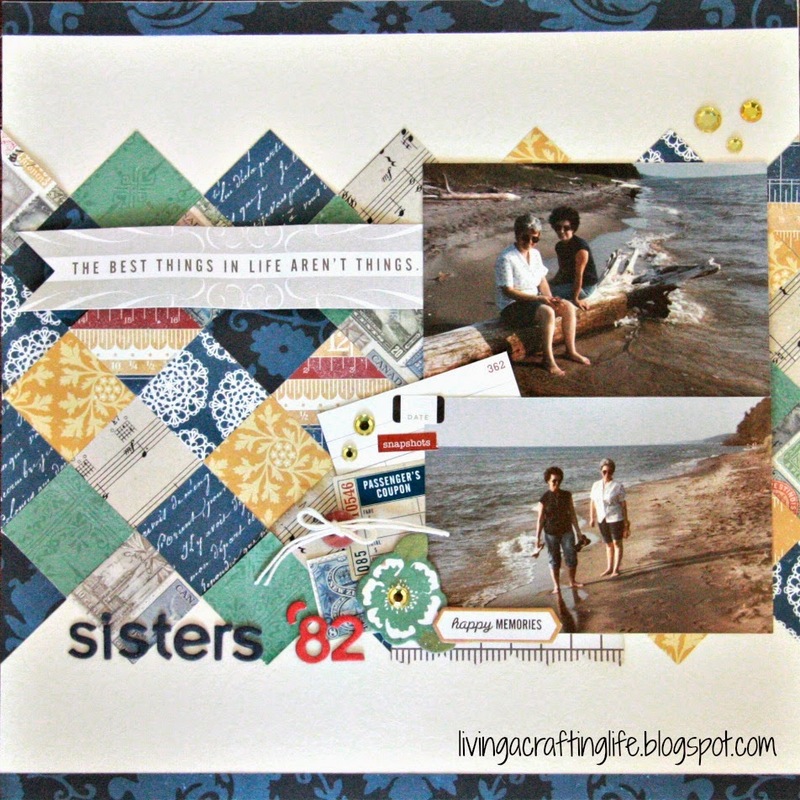 Because the photos I used for my pages are "throwbacks," I decided that I would include these next two layouts from the kit to my Throwback Thursday Series! The only items I used from my stash were gems, a button with twine and a paper clip. Oh, and the background paper too. Originally, I used a sheet from the kit with a wonderful wood grain effect to it (you can see it in my video HERE). Unfortunately, I messed it up when I tried to add mist to it. Ugh! This paper in my stash (from Pink Paislee) worked just as well so that I could redo my page. There is a pocket to hold some special memories, and the photo (which is of my grandparents) is paper clipped to the pocket, since there isn't a copy of it yet. I like the look -- I may just leave it that way! When I started this layout, the paper in the kit was getting to an end. From these patterned papers, I punched several squares and pieced them together for a quilt-like effect. 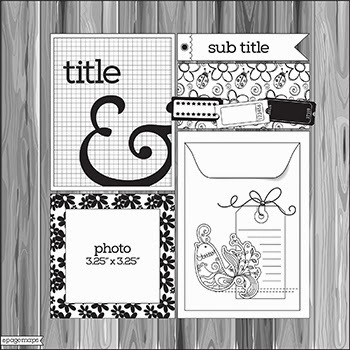 (The chipboard letters for the title are from the Basic Grey PB&J collection.) Again, the gem and the button with twine were the only things pulled from my stash. If I would have had more patience with my sewing machine, I would have added stitching too. Angie, both layouts are amazing!!! I love how you did the second one. Pinning for inspiration!!!! 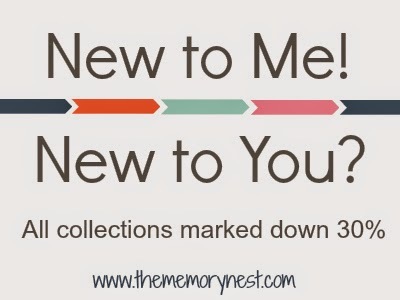 May Recap: Recollections Kit was Outstanding!